I was a barrister in London for 13 years specialising in product liability, professional negligence and employment law. 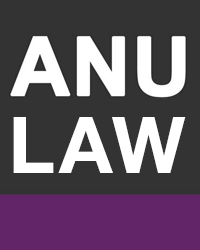 I moved to Australia in 2001 and began working at the ANU School of Legal Practice (formerly ANU Legal Workshop) in 2003, teaching advocacy, civil, criminal and commercial practice. I am currently the National Convenor for the Becoming a Practitioner Course and also the Criminal Practice Intensive. I am also the Convenor for the Masters Advocacy Course and I teach in the Military Legal Practice course. My research interests cover the practice and teaching of court advocacy in different jurisdictions around the world, and the development in the 21st century legal profession, especially the bar. My research interests cover the practice and teaching of court advocacy, and development in the 21st century legal profession especially the bar. I am collaborating in a research group at the ANU School of Legal Practice studying the 'Emerging Legal Identity of young practitioners'. Legal Profession; Clinical Legal Education; Advocacy. My philosophy and approach to teaching is to simplify and engage. This approach is perhaps most relevant to advocacy instruction, but it applies to all areas of law. Advocacy is perceived by students to be challenging and complicated. In fact, of course, it is simple and logical. If one can assist the students to recognise the patterns and structures within different aspects of advocacy, then I think that they begin to see the overall logic and consequently grow in confidence and ability. Civil Practice -Instructor 2003-2004; Convener 2004-2007.